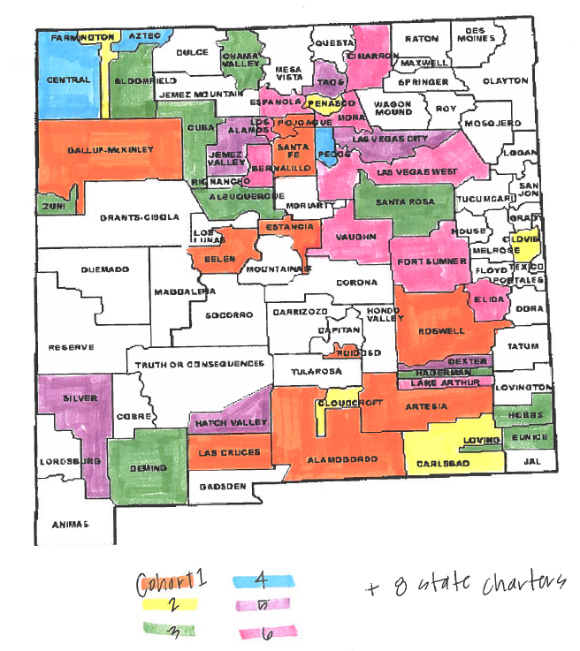 Principals Pursuing Excellence (PPE) is a two-year program aimed at leveraging the expertise of New Mexico’s educational leaders to support and empower New Mexico’s school leaders as they work to dramatically improve student achievement in their schools. With the support of the district, Performance Coach and Lead Coach/District Thought Partner, each School Leader works with their core team to assess school needs based on data and establish an Annual and 90-day Plan containing effective turnaround strategies (e.g. data-driven instruction, school culture of learning, observation and feedback). To support successful implementation and monitoring of the school’s 90-day Plan, each School Leader principal receives ongoing coaching and mentoring during monthly onsite visits and frequent check-ins. All roles, including superintendents and district leadership, participate in executive education convenings to further cultivate the competencies and skills of turnaround leaders. If we strengthen the competencies of leaders to transform districts and schools, then they will have the capacity to take bold and purposeful action. If leaders take bold and purposeful action, then they will establish the conditions for effective teaching and learning. If the conditions for effective teaching and learning are established, then teachers will have the opportunity to improve instructional practice. If teachers improve instructional practice, then student learning will increase. Year over year, participating schools are growing faster than non-participating schools, despite serving more English Learners, students with disabilities, Native American students, and students from low-income communities. 1. By midnight on March 15, 2019: Prospective participants complete role-specific applications available on the Priority School Bureau’s PPE webpage. Note: School leaders of struggling schools are eligible to participate in Cohort 7. 2. During April: Selected applicants participate in a competency-based interview. The interview is a 75-minute process that delves deeper than traditional interviews to identify the underlying competencies that are predictors of success for school turnaround leaders. 3. In late May: New school leaders, performance coaches, lead coaches, and district thought partners are notified of selection. 4. 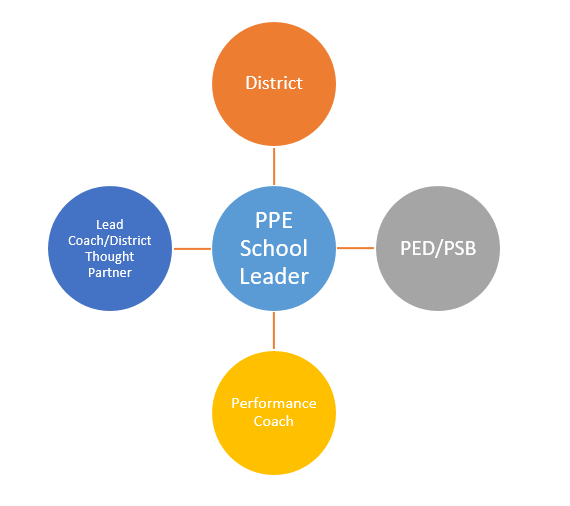 By June 3, 2019: New school leaders and their district leadership teams, performance coaches, lead coaches, and district thought partners submit PPE Program Assurances. 5. In late July/early August: New school leaders, performance coaches, lead coaches, and district thought partners attend a regional PPE induction.